In loving memory of my brother Bill Yetman. A hero to many and a U.S. Navy Corpsman (67 - 70). And our thanks to PGR who showed him such honor and respect. Thank you for your service as a Vietnam-Era veteran and for your sacrifice to our nation. Rest In Peace, SSgt Rundall. Semper Fidelis! Thank you for helping to make my father's Lynchburg, Virginia, memorial service incredibly special. You so touched my heart when the group appeared at my son's funeral and burial. When I thanked them, each one said to me it was an honor to be there. My heart is full of gratitude for your noble group. Rest in Power G.Paul. I will miss you here in the Education Department. With deepest sympathy to the family. You all are in my prayers. Good bless. In loving memory of Pete Wiley. The Patriot Guard Riders is a federally registered 501(c)(3) non-profit organization; and all of your donations are tax deductible. We are a 100% volunteer organization with no paid employees. 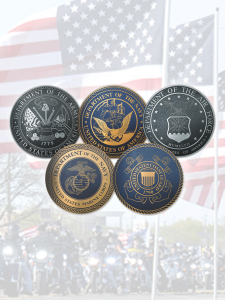 There is never a charge for the services we provide to the families of heroes.